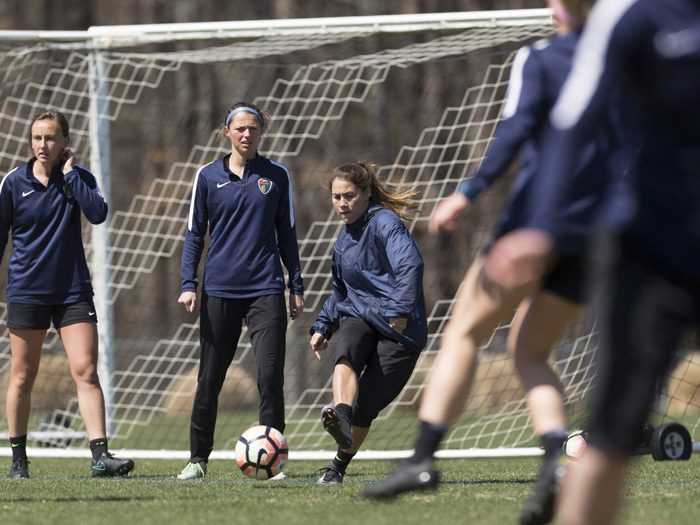 North Carolina Courage players practice at Sahlen’s Stadium at WakeMed Soccer Park. 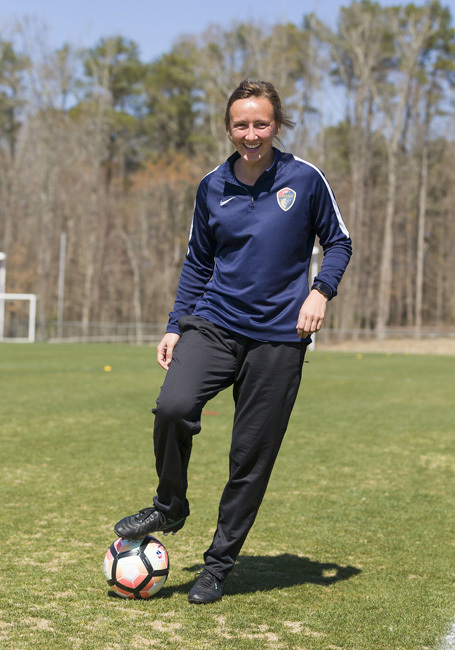 This is the second incarnation of the Courage as a professional women’s soccer team in the Triangle. 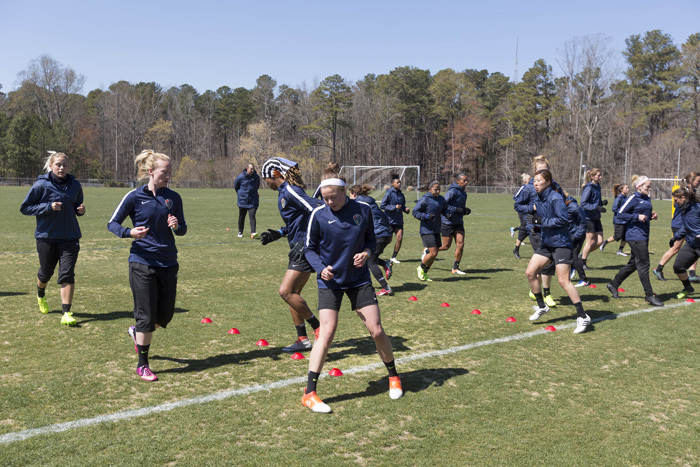 The first, Carolina Courage, played in Cary from 2001-2003. Welcome former UNC Tar Heel and NCAA National Champion Jessica McDonald back to the Triangle. 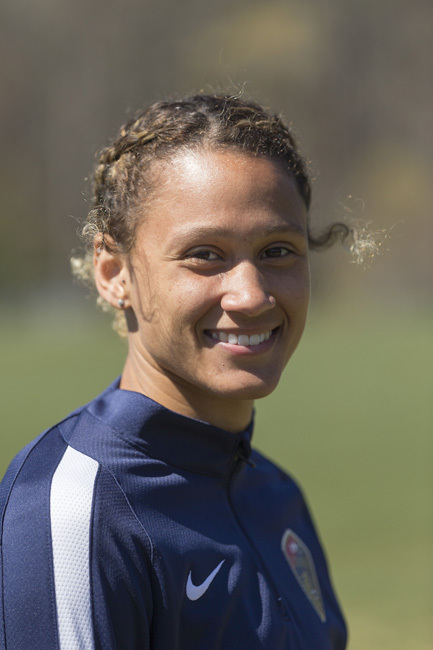 McDonald scored 10 goals in 2016 for the WNY Flash and led the team with seven assists. Started soccer: Age 12. I played basketball and ran track before that, but my brother played soccer and I wanted to do what he did. Most exciting soccer moment: The (NWSL) championship this past year. I fed a ball to Lynn Williams, who then scored, to tie the championship game and take us to penalty kicks. Excited to be back in the Triangle: To go back to my favorite restaurants, especially B Ski’s and Breadmen’s in Chapel Hill. Best part of being a professional athlete: The diverse friendships that you make. We have ladies on the team from Brazil, Japan and New Zealand. 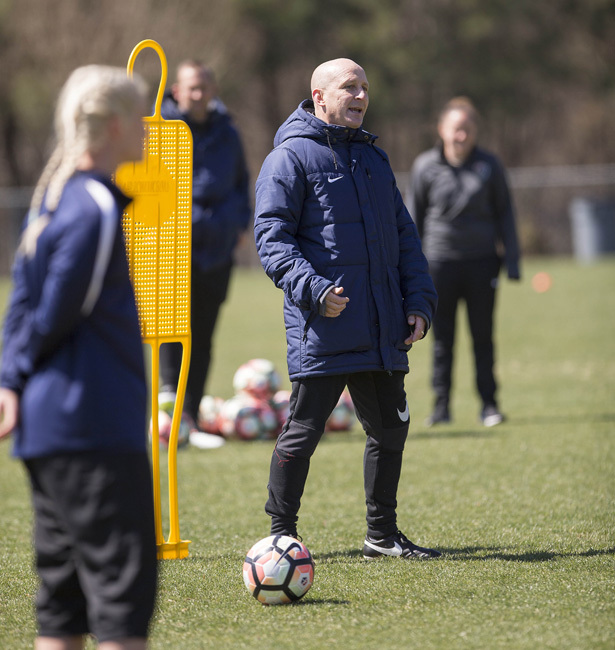 On an unseasonably cold day at WakeMed Soccer Park, North Carolina Courage Head Coach Paul Riley starts practice by asking for jokes from his team. Next, he wishes a player a happy birthday. The mood is jovial and excited, which is exactly how Riley likes it. “You’ve got to have fun coming to work every day,” he said. But make no mistake, there is plenty of work being done. “We want to make each player better. We don’t set goals, we concentrate on the process,” he said. Riley’s process has proven successful. 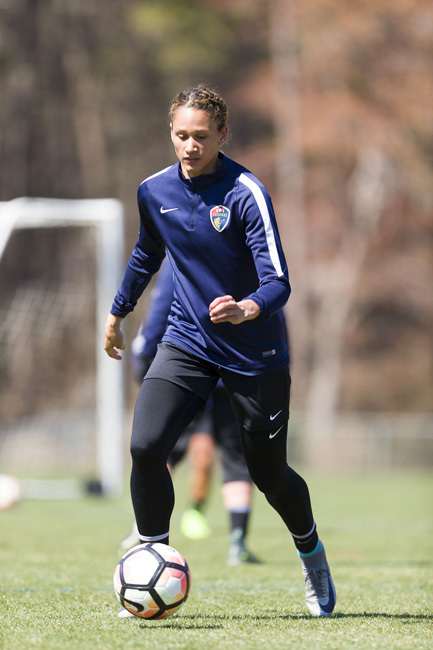 His team, the NC Courage, are the National Women’s Soccer League defending champs and the Triangle’s new professional women’s soccer team. 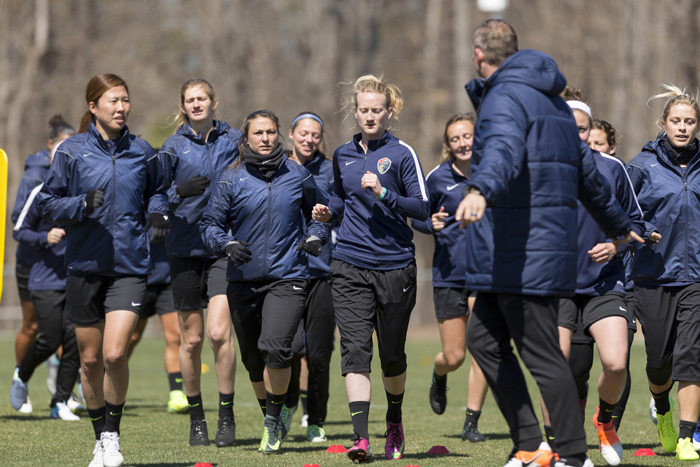 Formerly known as the Western New York Flash, the NC Courage was purchased and relocated by local entrepreneur Steve Malik early this year. 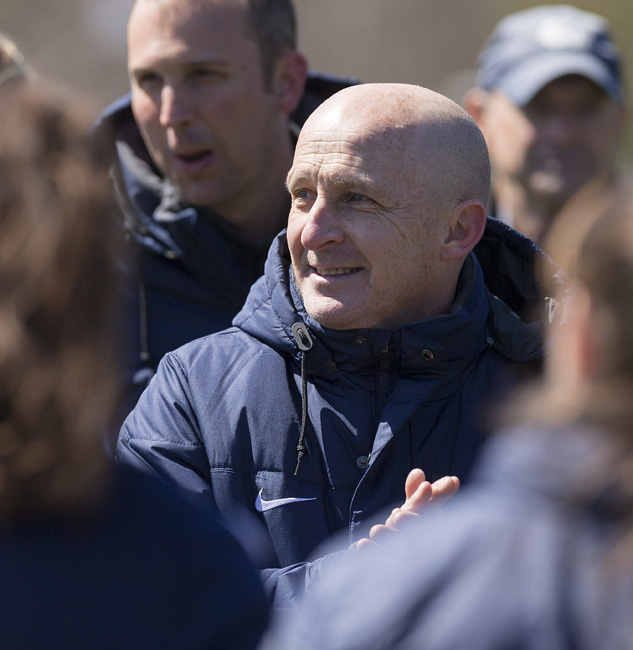 About 80 percent of the 2016 championship team transitioned to the NC Courage, including Riley and Assistant Coach Scott Vallow. 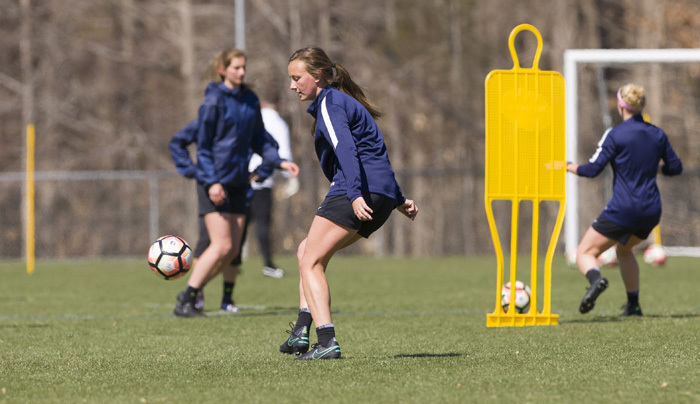 The NC Courage now calls Cary’s WakeMed Soccer Park home and played its first home match against the Portland Thorns, one of 10 NWSL teams, on April 22. 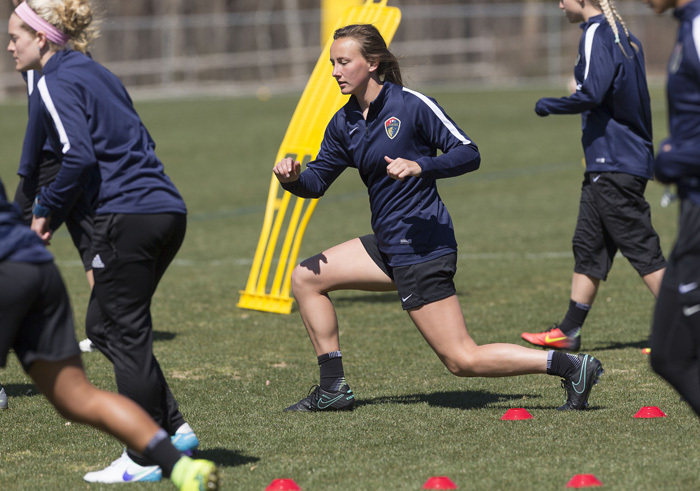 This is the second incarnation of the Courage as a professional women’s soccer team in the Triangle. 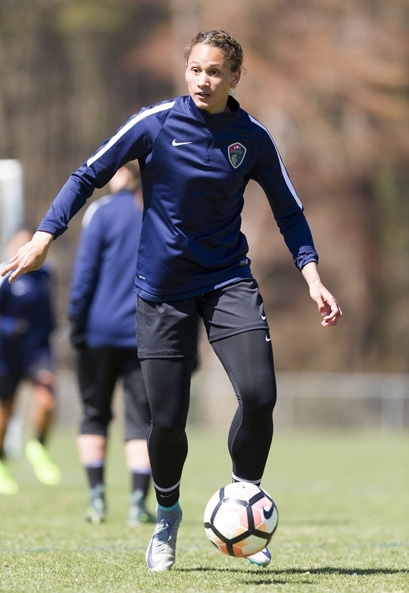 The first, Carolina Courage, played from 2001-2003 as a member of the premiere professional women’s soccer league, the WUSA, until the league folded. Sister team to the men’s North Carolina Football Club (formerly the Carolina RailHawks), the NC Courage fulfills a portion of the vision to bring the nation’s highest level of men’s and women’s professional soccer to the Triangle — a vision created by Malik and championed by NC Courage President and General Manager Curt Johnson. Earned the NWSL Golden Boot and League MVP awards for her 2016 season with the WNY Flash. 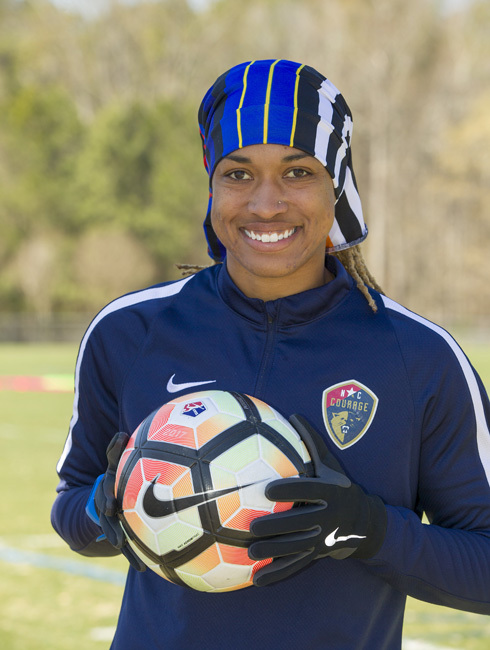 Williams has earned seven caps and scored two goals with the U.S. Women’s National Team. Started soccer: Age 5, competitively at age 12. Most exciting soccer moments: Beating Portland at their home stadium. Coming back to win in the NWSL Championship game. Scoring my first goal with the U.S. Women’s National Team. Inspired by: Her uncle, who played football at the University of Washington, and his story of courage in facing a paralyzing injury. Best part of being a professional athlete: I am able to travel and see parts of the world that I otherwise wouldn’t get to, and having teammates to share the experience. 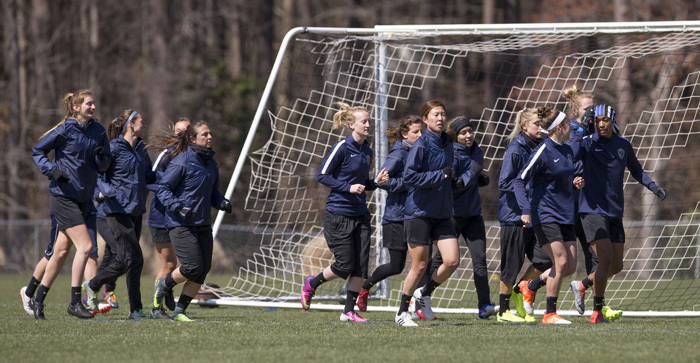 Historically, the Triangle is a bona fide hotbed of soccer support, particularly women’s. 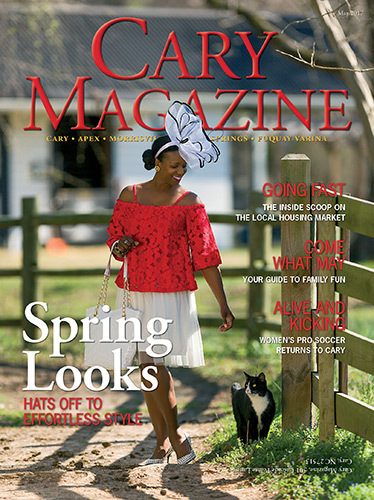 “UNC-Chapel Hill is the most storied women’s college sports program of any kind,” Johnson said, having won 21 NCAA women’s soccer championships under head coach Anson Dorrance. Neighboring university programs at North Carolina State, Duke and Wake Forest have been leaders nationally as well. And when it comes to youth, Johnson says 50 percent of participants in Triangle-area soccer over the last 45 years have been female. The Triangle now claims the largest youth-to-pro soccer league in the country, following a recent partnership between the NCFC and leading youth soccer organizations Capital Area Soccer League and the Triangle Futbol Club. 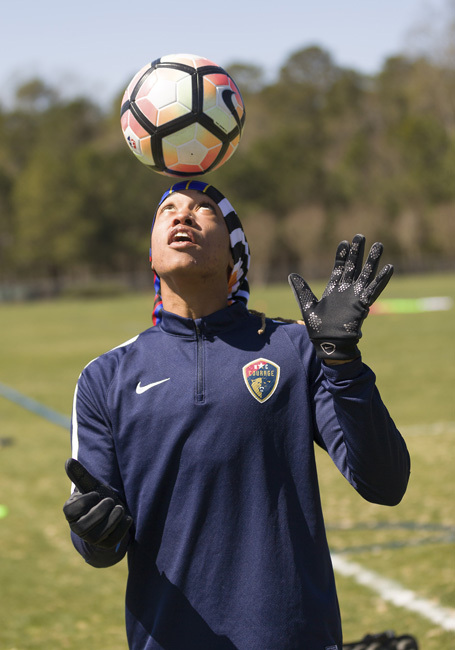 The youth leagues merged into the newly established NCFC Youth, creating a 20,000-member soccer organization that offers the highest levels of competitive play, player and coach development, and a direct line to professional soccer. 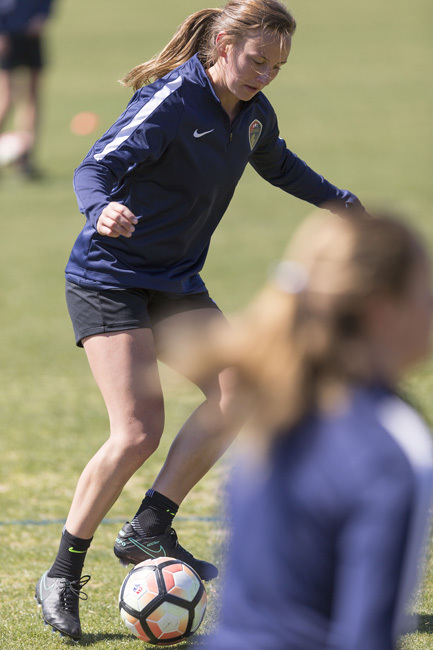 Hometown favorite Claire Wagner starts her rookie season as a professional soccer player minutes from where she grew up. Most exciting soccer moments: Winning the national championship with her youth club team, and Clemson winning the ACC regular season title when she was a senior. Courageous moment: Choosing to go to Clemson during a rebuilding year and be part of building a program up from the bottom of the conference. The team features international players from Brazil and New Zealand, as well as U.S. National Team members Samantha Mewis and Lynn Williams. 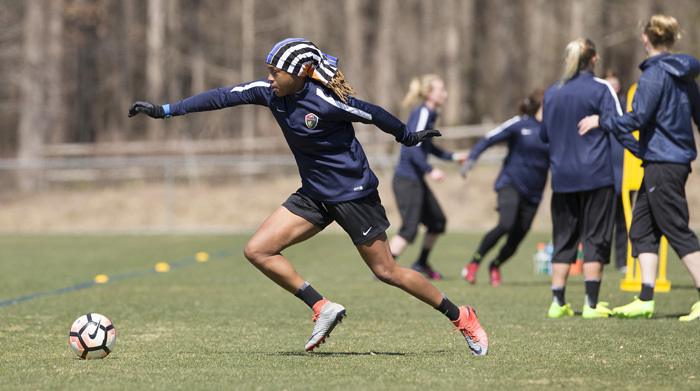 “Fans are going to see an outstanding game day environment that really showcases soccer and the NWSL at a great level,” Johnson said. 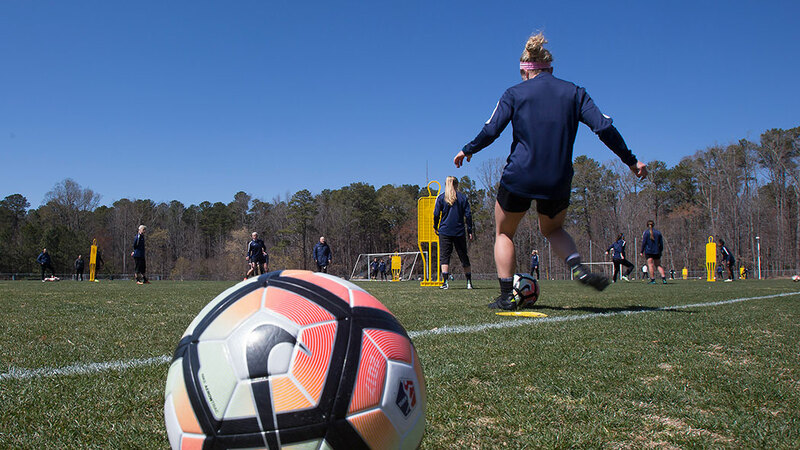 “The Town of Cary has been an incredible partner in helping us grow the sport in the Triangle,” he added, citing the impeccably-maintained facility at WakeMed Soccer Park as a strong factor in acquiring the NC Courage. Johnson calls this a “major moment in time for the sport of soccer” in North Carolina and encourages all fans to take an active role in supporting the men’s and women’s teams: Attend games, wear the team colors and encourage local businesses to support them as well. “We are very powerful when we are all united and pulling in the same direction to grow the sport,” Johnson said. 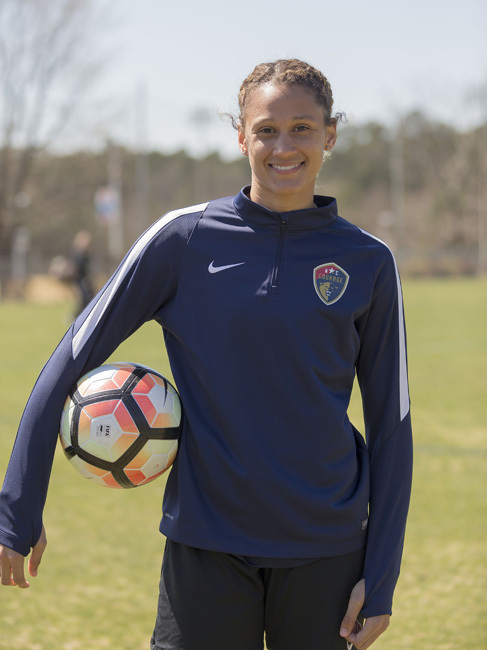 NC Courage tickets start at $14 and can be purchased at northcarolinafc.com/tickets. The next home match is Sunday, May 21. Full schedule available at northcarolinafc.com/courageschedule.